(HealthDay)—Anger isn't just an emotional reaction—it can affect you physically, too. It's been shown to raise your risk for heart disease and other problems related to stress—like sleep trouble, digestion woes and headaches. That makes it important, then, to diffuse your anger. Start by figuring out what it is that makes you angry. Demands you put on yourself. Anger was more intense, the investigators found, when people were provoked by issues with other people or by influences that couldn't be pinpointed. Once you've identified the sources of your anger, take steps to change how your deal with it, the researchers suggested. Decades ago, people often were encouraged to let their anger out. Primal screams and pounding pillows were suggested tactics. Today? Not so much. 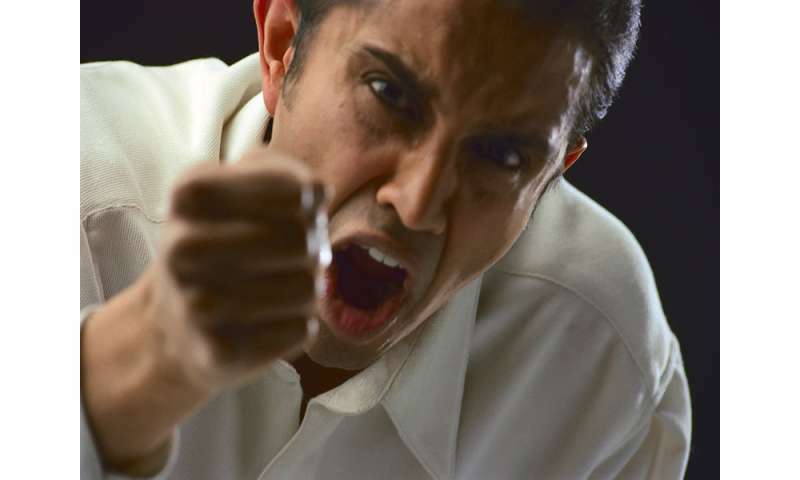 Studies have shown that therapies that involve letting anger out in a rage don't really help. They might even make you more angry. Still, it's important to not keep anger bottled up. But, managing it can keep you from saying or doing things you might regret once the anger has passed. Start by becoming a calmer person in general. Practice a relaxation technique every day—yoga or mindfulness meditation, for instance. Also develop an anger strategy that you can draw on when you're in the moment. The idea is to interrupt your response to anger before it gets out of hand and to have a menu of healthier ways to express your feelings. Tactics like time-outs, deep breathing and self-talk can help you calm down and think before acting. Longer-term, reducing your stress level and building empathy skills can help. If you're arguing with someone, anger can be like earplugs. It keeps you from hearing what the other person is saying and finding middle ground. So instead of acting defensive and trading barbs, hit the pause button. Ask the person to repeat what was said. Then reflect on it before you speak again. Try to figure out the real reason for the argument. This lets you channel the energy of anger into finding a solution. When you're in a situation you can't fix—like being stuck in traffic on your way to an appointment—use your rational mind to put the situation in perspective. It's inconvenient, but more than likely won't affect your well-being long-term. If you find that you're angry at forces you can't identify, consider talking to a mental health therapist. Working together should help you uncover the root of your unhappiness and anger. More information: The U.S. National Library of Medicine has information on anger management.